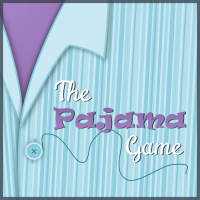 Romance is bursting at the seams at the Sleep-Tite Pajama Factory. Handsome new Superintendent, Sid Sorkin, falls hard for spirited Union representative, "Babe" Williams and, despite her objections, it seems as though she's falling right back back. When the Sleep-Tite employees are refused a 7.5 cent raise, the pair find themselves on opposite sides of the conflict. Babe and Sid must figure out how to come together while their beliefs are pulling them apart. A three-time Tony Winner, The Pajama Game stitches together the promise of romance and the heat of politics, all tucked away in this fun musical.